This post is brought to you by TurboTax. As always, opinions are 100% mine! April is quickly approaching, which means taxes are due soon! If you are self-employed, tax season can mean a little bit of extra work. For the procrastinators out there, this can mean a lot of extra work. If I had to rate myself, I would say that I'm more towards the procrastinator side! Fortunately, TurboTax has amazing Self-Employed tools that help make filing taxes much easier. TurboTax also allows me to work on my taxes when it's convenient for me, which is great because I usually allow myself a couple weeks to get everything done! Up until 2015, I always worked full time as an employee for another company. I relied on W2s when reporting my income. Since becoming self employed, I've realized that there was much paperwork I need to be aware of, such as 1099s, business receipts, tracking my travel, etc. The list goes on and on! In an effort to stay organized, I made sure to hold onto my receipts and important paperwork throughout the year! I stored everything in a pretty box near my desk so I would be ready for when tax season rolled around. I also organized an email folder to contain all important information as well, since so many documents and receipts are delivered online! I also tried my best to use my business card for strictly business purchases, although I did mess up several a few times, ha! Previously, I've always been really comfortable filing my taxes myself using TurboTax. The software is really user friendly which is great for someone like me who liked to go the DIY route, but needs some guidance when going through so much paperwork. Since making the switch to a full time blogger, I'm so glad TurboTax has a dedicated Self-Employed tool that I can use. This is a new tool that I haven't used before as it wasn't applicable in previous years, so I'm really glad I can continue to file my taxes on my own. As a repeat user – I've been with TurboTax for 10 years – TurboTax stores my information and previous tax returns. When I get ready to file for a new tax year, TurboTax retrieves my information from the previous year to see if I've had any major life changes. All I had to do was click on the self employment picture, which lets TurboTax knows we need to add this section when filing my taxes! If you are a first time TurboTax user, don't worry! The software asks you a bunch of questions regarding your life like in the picture above. They essentially cover all your bases and as you questions about your personal life, work, milestones, etc. 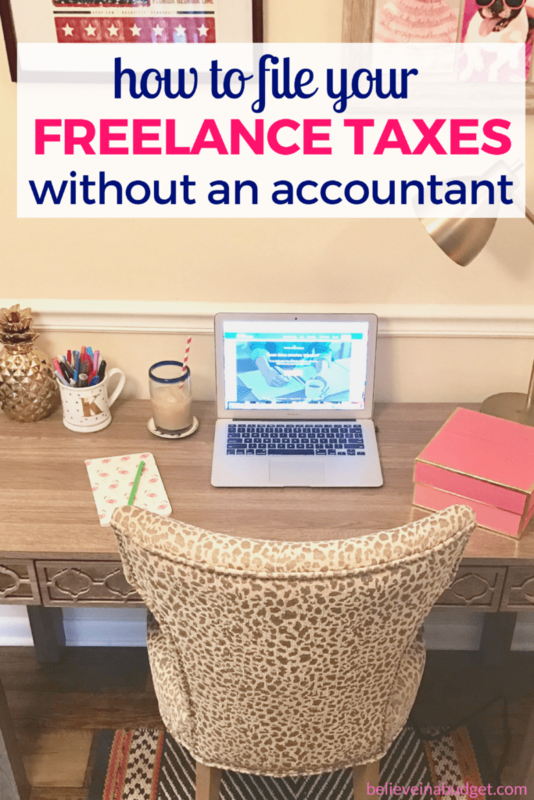 I'll be honest – I was a little nervous to work on my taxes since it was my first year of being self employed. But the questions were really easy and it wasn't nearly as stressful as I thought it would be! Since I'm self employed, it's so hard trying to figure out what's an expense and what isn't an expense. I'm looking at you, weekly trips to the coffee shop. TurboTax helps sort through all my information and makes it much easier on me! 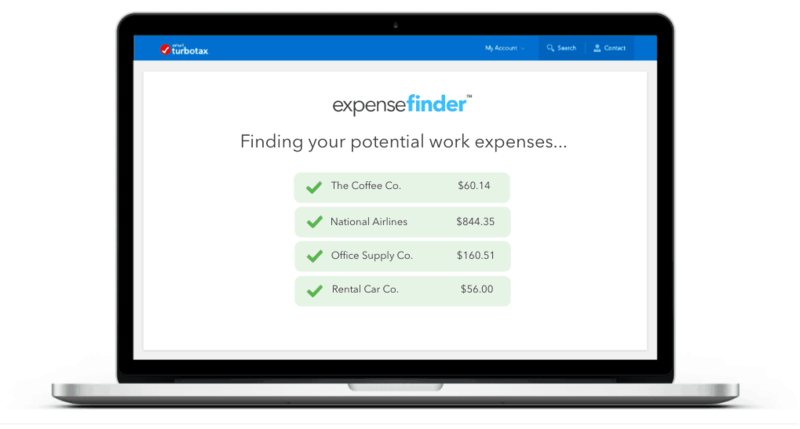 You figure out your expenses and savings with this calculator. If you have questions about self employment expenses, deductions, etc., you can can speak to a real person and get an answer! In the past, I've always had to do an online search to try to figure out the answer to my questions, which was really annoying! Now I can stay on TurboTax's platform and get an answer right away. This is such a time saver! Ok – this might just be the most helpful app for your business that's ever existed. Period. Since I'm self employed, I spend a lot of time on the go. 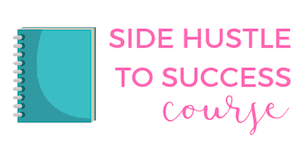 I meet peers at coffee shops, make trips to the post office to grab my mail, attend conferences and more! While I do my best to try to track everything, things can get a little hectic if I don't have an organizational method in place. 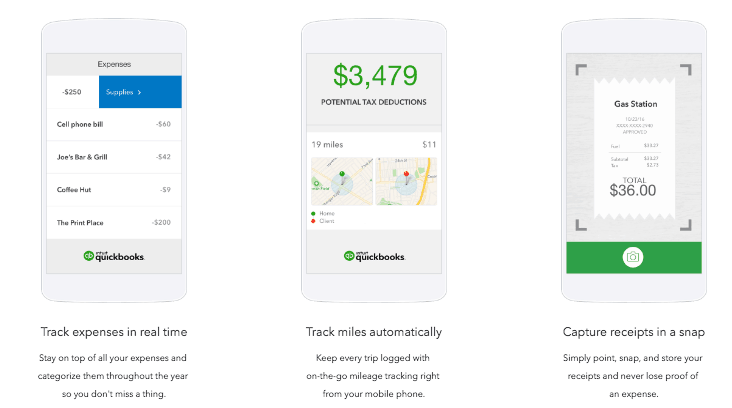 Let me introduce you to the Quickbooks Self-Employed App. It's going to change your life! I can now track literally everything online – my driving miles, snap a picture of my receipt (super helpful for when I pay cash) and categorize the expense! Did I mention how this is a time saver? Good news! One of my favorite features of TurboTax is I can pick and choose when I want to work on my taxes. If you are meticulous and focused, you can complete your taxes fairly quickly! It really depends on how well organized you are. I'm not the type of person who can devote an entire day working on my taxes or spend hours at a time looking at paperwork. It's much easier for me to work on part of my taxes, complete a section and then take a break. TurboTax stores all your information, so you can log in and pick up where you left off. Since the software is online, you can also work on your self employed taxes at anytime and from anywhere – at home or on the go! 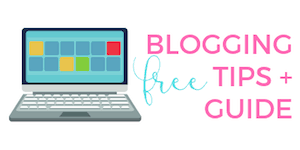 Are you a blogger or freelancer? Have you filed your own taxes before? I am planning to be self-employed soon, this would really help me. I’m so glad you posted this article. I’m new to blogging, so I wondered how taxes were done. Thanks for sharing this. Hi Kristin! Is there a way I could e-mail you some questions privately? 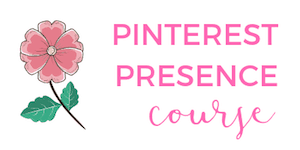 I have loved reading your blog so far! Great article! Glad to hear turbo tax makes it easy for self-employed! Seems like one of the hardest parts of working alone! Do you pay quarterly taxes or annually? My first year I did annually, just because I wasn’t sure what I was doing. This year I’m doing quarterly so I stay better at being organized! Plus, I really don’t want to hold onto any money I owe for too long, ha! What do you do?